Fall 2016 was a season of fresh new designs and a sneak peek at 2017. The team at Snobby Diva attended the Vivienne Hu Show in New York City. Being backstage during New York Fashion Week can be described with one quote: “There is beauty in the madness”. The madness is a routine seen at essentially any show. 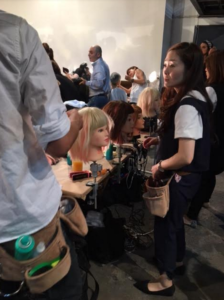 Makeup artists quickly but delicately applying makeup to models’ faces, following a pre-determined look that brings the designer’s vision to life, hair stylists effortlessly transforming hair into art, and the swarms of volunteers, seasoned and new, helping models into their opening garments. The designer was seen running around ensuring everything is going as planned and matching the concept worked on for months. While this beauty in the madness formula is at every show across the board, Snobby Diva had the pleasure of experiencing it at Vivienne Hu’s Spring/Summer 2017 Show. 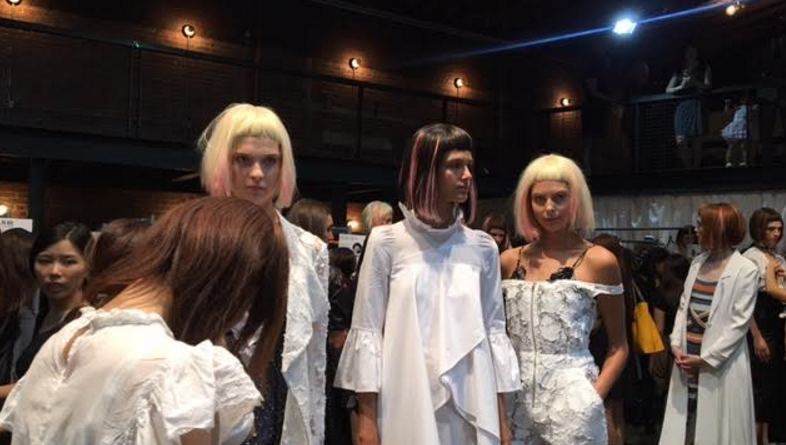 Held at The Artbeam Gallery near the infamous Highline, the Chinese designer debuted a collection filled with bold pairing like leather and florals to bright colors to simpler, silk pieces. As other models in the show drift into the room and sit in empty chairs ready to be transformed, a particular face stood out among the chairs. Madeline Stuart sat in the corner as a make-up artist carefully applied make-up to her face. The Australian model, noted as being the only professional model in the world with Down syndrome, was making an appearance with Disney Channel star Meredith O’Connor, who sang her hit song “Stronger” to open the show. Fresh faced and walking in her first New York Fashion Week, Major Model client Caroline Spiggle was excited about walking in the show and having to wear a wig for the first time of the six shows she’s walked in this season. 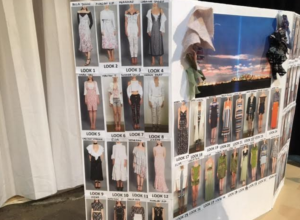 As models are taken to the side to be photographed, a mood board displaying the looks sits on the center table as a reminder of what is pending: the show. Moments later and in haste, Vivienne Hu gathers the models and announces rehearsal will start shortly. Models chatted idly with each other as the rehearsal ran through smoothly. Thirty minutes before scheduled show time, the designer, alongside Stuart, O’Connor and New York agent Rick Galvin answered questions at the step-and-repeat, acknowledging the anniversary of 9/11. Hu briefly took questions from the small crowd surrounding her.